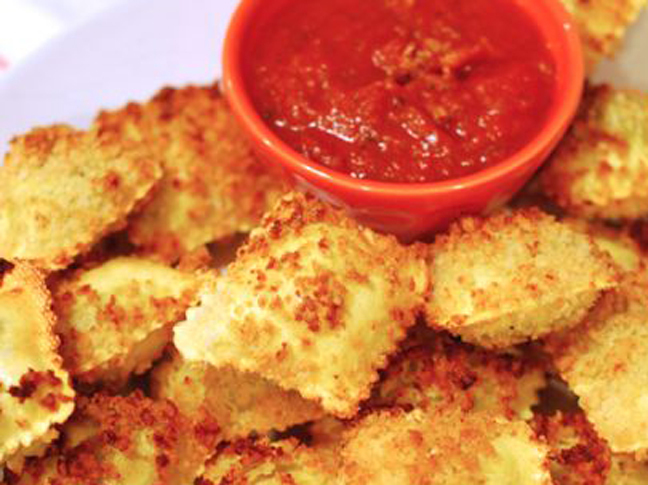 There are many gems on the Olive Garden menu, and one of my kids’ favorites is toasted ravioli with marinara dipping sauce. 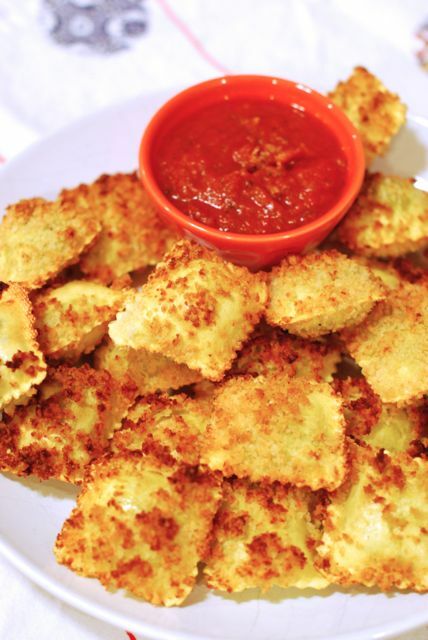 I just love how it is a different take on ravioli, and the kids devour it. It really is the perfect appetizer! Since I am trying to learn how to make these things at home, I developed a copycat recipe. These are almost as good as the real thing! A delicious and easy copycat recipe for Olive Garden's popular appetizer. My kids love this one! Step 1: Preheat the oven to 400 degrees F. Line a baking sheet with parchment paper and set aside. Step 2: Beat the egg white and water together in a small bowl. In a large bowl mix the bread crumbs, seasoning, and Parmesan. Step 3: Dip the ravioli in the egg white until coated, and then immediately dip it in the seasonings to coat. Place it on the lined baking sheet and repeat. Step 4: Once the raviolis are all ready, bake them in the oven for 20 to 25 minutes, carefully flipping once at the halfway point. Serve warm with dipping sauce on the side.